My cousins, my brother and I are living in a different world than we were just 10 days ago, one with a giant hole in it. The woman Reed and I called Aunt Ruby, and who our cousins called Mother, Mom and Mama, has gone home to Heaven. I will write more about her, her living and dying, in a future post. Right now I can still hardly wrap my head around the idea that she is gone. Right now I just want to reminisce about simpler times with Reed and my cousins, to find comfort and maybe some smiles in my memories. Debbie was born to Aunt Ruby and Uncle John first, and she enjoyed 10 years by herself with them. Then Aunt Ruby and Mama started the family “baby boom”. Mark and Reed arrived less than 5 months apart, then I was born less than 3 years after Reed, Alan was born 10 months after I was, and Haven brought up the caboose about a year and a half after Alan. Poor Debbie sometimes got stuck with babysitting the remaining 5 of us younger kids! I can’t even imagine what that must have been like! We grew up attending the same schools because we lived close together. 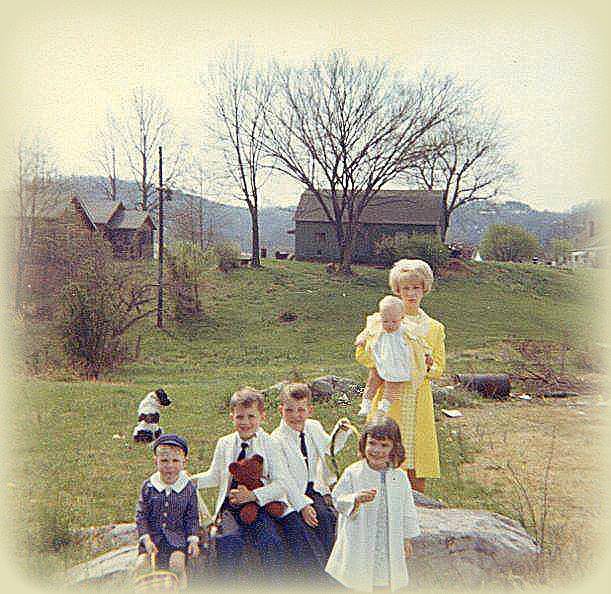 Reed and I began going to church with Aunt Ruby and Uncle John and their kids when Mama was taking care of Granny and unable to take us to church herself. Granny made Mama promise that she would take us when she was able to, and after Granny died, Mama kept her promise. Aunt Ruby and Mama were very tightly bonded and, as a result, so were we, often functioning as a single group of siblings rather than two separate sets. Often we would “swap a kid”. Haven would come to spend the night with me on Ford Street and Reed would go to hang out with Mark and Alan on Arnold Street. Or vice versa, with any configuration of kids at either place. I know I spent almost as much time at Aunt Ruby’s house growing up as I did at my own. It was equally home to me. As we’ve grown older, our lives have taken off in different directions, and each of us has dealt with individual issues and struggles. Life as a family is not always pretty. 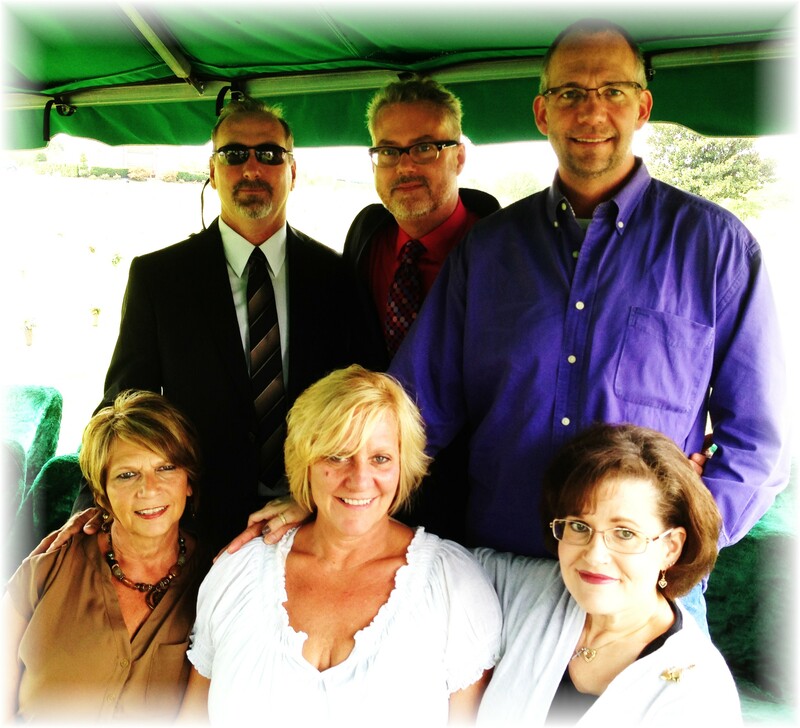 And even though 5 of the 6 of us all live in the same town, we’ve been hard-pressed to get together as a group…unless someone is getting married or buried. But I agree with the immortal wisdom of the Facebook quote that asserts, “Our cousins are the first friends we have”. In our case that has been the absolute truth. Aunt Ruby was the last of her siblings, her generation, to leave this world. She and her sisters, “The Big Five”, left us a rich legacy of strength, craziness, laughter, tears and love to draw upon as our generation is forced now to step forward and pretend that we’re grown-ups. I don’t know how all of that is going to work out…but I pray that we can be more diligent about gathering now and then, just to spend some time connecting with one another. We’ve learned once again, all too poignantly, how short life is.